Petroleum is the fuel that drives the world. Very few places on the planet function without some form of petroleum being used to power infrastructure. For those contemplating an engineering degree a university qualification in this field can be a very rewarding career path and provide great potential for future employment, not to mention it’s one of the highest paying engineering occupations available. This is a relatively young profession with the first degree awarded in 1915 at the engineering faculty of Pittsburgh University. Petroleum engineers will be required to have a knowledge and working experience of geological formations, tapping into reservoirs, drilling processes and all forms of construction required to mine oil and gas. Petroleum Engineers are generally employed by the Oil and gas companies (e.g. Exxon, BP, Mobil) ether directly or indirectly via a service company. In most cases employment means travel, with employment opportunities available around the world. The majority of oil and gas companies are multinational and the opportunity to travel and see the world is part of the appeal of the role. It is however a demanding career with long work hours operating under high pressure. However this means Petroleum engineers are the highest paid of all engineers with starting salaries of over 75K (often higher) and the opportunity to greatly exceed this over time, with salaries tipped to increase in coming years. Employment is also high, with demand far exceeding supply. This will ensure stability in employment and keep pushing salaries higher into the future. It should be noted that due to the excessive hours and need to travel often on short notice, this isn’t the most suitable career for those with a family. Easily accessed fields have been depleted over the past century and nowadays new innovative processes such as enhanced recovery and horizontal drilling have given the industry a much needed new lease on life. In difficult terrains the accepted and proven methods of extraction may have to be drastically altered and adapted. It is in these instances that people who are at the top of this profession come into their own. The salaries paid to quality petroleum engineers are high but this is a billion dollar industry where even the slightest hiccup could cost a company millions. Holes to access lucrative wells are sometime miles deep in the earth’s core or buried in a multitude of varying geological layers requiring widely varying drilling techniques. Terrains can be hostile with either extremely high temperatures or sub zero Arctic conditions. There are also challenges when drilling in deep water as very high water pressures require specialized equipment and strategies. Each of these climatic conditions presents their own type of complications and require different approaches. Petroleum Engineers need to think outside the box to meet the many technical challenges required to deal proactively and lucratively with drilling for oil and gas. 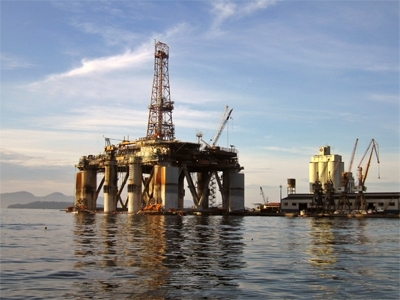 Every step of the process is highly technical that makes up the progression from discovery to recovery of oil and gas. A Petroleum Engineering degree is designed to ensure that students are fully compliant and knowledgeable to meet the industry’s needs. Courses are continually updated to ensure the newest technological advances are included and students are expected to keep abreast of new innovations and thinking in their field of study. This is also the case post study, where keeping up with new extraction methods and technology are an important part of the role. At the completion of a Petroleum Engineering Degree a student will be equipped to take up a position at entry level in the industry. In fact in many cases most students will secure employment prior to graduation such are the demands of the industry.